GUESS is offering pre-National Day Specials for you to start the month of August right! 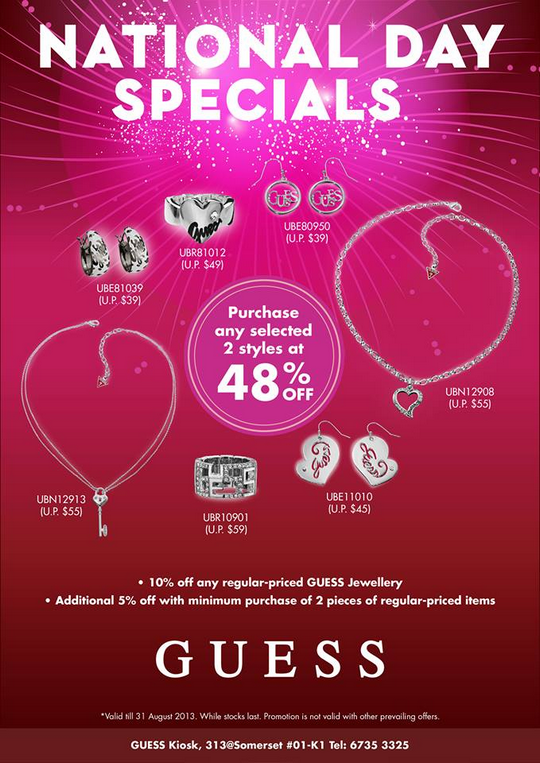 Enjoy 48% off with purchase of 2 pieces of selected GUESS Jewellery! Pop by #01-K1 from now to 31 August 2013. Better hurry!